Symptom: No power on both of dc 12v and battery.only optical block fan runs momentaly. Symptom: Camera will not power up with battery or dc input. Possible burning smell from regulator with smoke. Subject: Unit stuck in color bar mode. Symptom: Whenever turn on the color bar mode, camera stuck in the color bar mode, can't go to the mormal picture mode with press the user-1 button. Subject: SD cord slot A is not lock with any SD card. Symptom: The SD card does not lock in when insert the SD card. Symptom: The unit powers on, VF video is OK but no luminance at the output terminals. Symptom: The live video has an extra color edge to all vertical objects. This can be seen easily in high contrast areas. Seen in all resolutions. Subject: Start and stop record button on lens does not works. Symptom: Start and stop record button on lens does not works.but start button on handle does works normal. Symptom: The power does not on consistent, some time on and some time does not turn on. Symptom: Cyclic noise or high pitch noise bleeds into audio. For the cyclic noise, it is not heard on EE but recorded on media. Noise is duplicated without presence of microphone input while camera is in AUTO condition. Symptom: Slot"b" not accepting card. Subject: LCD with horizontal lines only. Symptom: LCD with horizontal lines on screen. 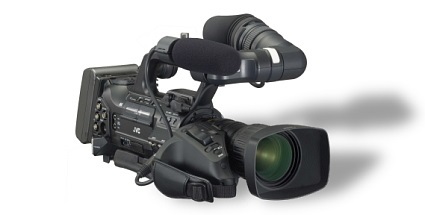 Symptom: After replacing CODEC PWB, service steps are needed to be performed. Symptom: The video is not sharp, the registration error all around screen area. Symptom: Descriped as red lining on edges on bright light. Symptom: While continuously recording the camera would stop recording around 7-9 minutes. Symptom: While continuously recording an error message of "Video management file is damaged. Recovery is required to record/playback. Recover?" would intermittently appear. Once recovery is done it will continue to record. This error occurs in mp4 and mov and in any resolution. I''ve only tried this in the HQ recording mode. Subject: XLR input clips 1 and 2 broken. Symptom: XLR input clips 1 and 2 broken. Subject: Distorted video when playing files back on FCP/Quicktime. Symptom: Rough on edges like interlace problem when moving camera left to right slow (panning). Symptom: When using a prime lens the unit will not record 1920x1080 24p to SCHC. Trying to play these files will lock up the camera. Symptom: THE RECORDINGS HAVE A 2 TO 3KHZ TONE WITH HARMONICS IN IT. LINE IN DOES NOT HAVE ANY NOISE. Symptom: All picture bad, LCD monitor, viewfinder,componentout,and SDI out. Symptom: All horizental edge has a yellow tint line. Subject: NO POWER AFTER ATTEMPING TO UPDATE CAMERA. Symptom: Loose the LCD monitor hinge. Symptom: The LCD monitor hinge loose. Symptom: Blurry images in the viewfinder picture. Symptom: THE LCD MONITOR HINGE DAMAGED, it need a replacement. Symptom: The Fujinon zoom lens macro ring turn to both direction form index mark. Symptom: THE LCD MONITOR HINGE DAMAGED IT'S NOT OPEN AND CLOSE PROPERLY. Subject: The slot select button damaged. Symptom: The slot select button jammed down.